I found this great little summary of errors of Seventh Day Adventism. This sect of Christianity claims that Christians should not worship on Sunday, which is the “sign of the beast’, but that we should all worship on Saturday, the Jewish Sabbath. First, that Christians are supposed to keep Saturday, the Sabbath, holy. They oppose worshiping on Sunday, arguing that it’s against the Ten Commandments and generally anti-Scriptural. 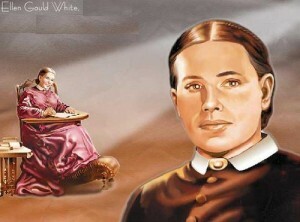 Second, that the founder of Seventh Day Adventism, Ellen G. White, was a prophet. One of the gifts of the Holy Spirit is prophecy. This gift is an identifying mark of the remnant church and was manifested in the ministry of Ellen. G. White . As the Lord’s messenger, her writings are a continuing and authoritative source of truth which provide for the church comfort, guidance, instruction, and correction. But as we’ll quickly see, White was no prophet, and her works are riddled with errors. Let’s look at two of her major claims about the Sabbath, both from her supposedly-inspired book, The Great Controversy. I. When Did Sunday Worship Begin? I have used Logos Bible Software (now on Mac too) on my computers since 1988. 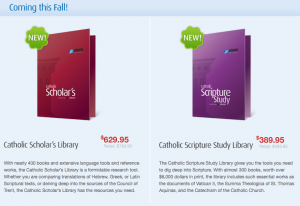 It is bar none – the best Bible Software package available due to its power, breadth of programs and NOW it is offering Catholic resources. Check it out HERE and sign up for a big free giveaway.